The startup scene in the Philippines is thriving with events every week, ranging from hackathons, open coffees, gamification, conferences and meetups on just about every programming language, apis to social innovation. These events are not only being held in Metro Manila but also in Baguio, Cebu and Davao. 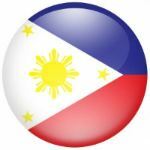 The Philippines’ startups are in education, tech, social innovation, agriculture, e-commerce and payment gateways. Outside of the tech world very few people are aware of the evolution of the Philippines as a hotbed for startups. The corporation code of the Philippines, Securities and Exchange Commission (SEC) and the Bureau of Internal Revenue (BIR) regulations are not small entrepreneur friendly. Monthly and annual filings of reports to government agencies cost startups time and money, making it extremely difficult for startups that are bootstrapping. Secondary licenses may be required of them depending on the nature of their business. Legal restrictions on foreign ownership (foreign investment negative list) may hamper some startups’ efforts to find investors overseas. Another issue is the limitation on more than 19 investors/shareholders per year for a close corporation without having to fulfill the securities registration requirements with the SEC. Part of the amazing growth of new startups has been the opening of new angel investors groups, venture capitalists, startup accelerators and incubators; notably Kickstart Ventures (part of the Globe Telecom Group), Pollenizer (Australian, Kickstart joint venture partner) and Ideaspace Foundation (funded by a consortium of companies belonging to the same group as Smart Communications), Launch Garage, LaunchPad, PhilDev and more. Unfortunately there is little information available to founders and co-founders of Philippines startups on how to properly setup a corporation. What should be included in the Articles of Incorporation and By-laws and how various clauses, such as tag-along rights, drag-along rights, right of first refusal should be used as well the classes of shares and their par values. Startups with correctly prepared Articles of Incorporation (AOI) and By-laws will avoid having to waste time and money in making amendments to their AOI when their first investors are willing to buy shares or agree to purchase a convertible note.